FULTON – Sharlotte Russell, Carrie Hutchins, and Lora Wehrmann have all earned promotions at Eastern Shore Associates Insurance, it was announced by Martha Murray, president. “Each of these employees has worked hard to earn these promotions and each is a credit to our team, “ Murray said. Sharlotte Russell was promoted from Commercial Lines Processor to Commercial Lines Customer Service Representative. Russell, who works at the Fulton office, was promoted from Commercial Lines Processor to Commercial Lines Customer Service Representative. She resides in Mexico and has been with ESA just over one year. Wehrmann, also at the Fulton office, was promoted from Commercial Lines CSR to Commercial Lines Account Executive. She resides in Scriba and has 10 years with ESA. 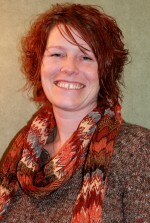 Hutchins, who works at ESA’s North Syracuse office, was promoted from Marketing CSR to Senior Marketing Specialist. She resides in Liverpool and has five years with ESA. In addition, she was ESA’s 2012 Above and Beyond award winner. 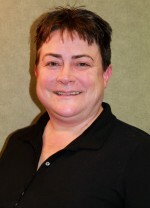 The Above and Beyond program is designed to recognize the individual who goes above and beyond their normal job duties to exceed the needs of fellow employees, our customers and our agency, Murray said. 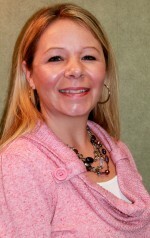 Carrie Hutchins was promoted from Marketing CSR to Senior Marketing Specialist. Headquartered in Fulton, ESA offers a full range of business and personal insurance, including property, liability, automobile, boat, farm, recreational vehicle, workers compensation and bonds. In addition, they offer financial planning and risk management services. Lora Wehrmann was promoted from Commercial Lines CSR to Commercial Lines Account Executive. Commercial Lines CSR to Commercial Lines Account Executive. Eastern Shore Associates Insurance, www.esainsurance.com, is a Trusted Choice independent agency and ESOP (employee stock owned) company with offices in Fulton, Pulaski, Camden, Waterloo, Rochester, North Syracuse and Walworth. The Fulton office can be reached at 598-6000.